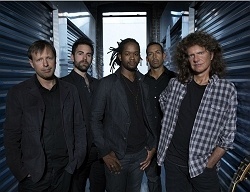 Subject: LongIsland.com - Your Name sent you Event details of "Pat Metheny Unity Group at WHBPAC"
With 20 Grammy Awards under his belt, this world renowned jazz guitarist is the most influential musician on the planet. Grounded in modern jazz, his improvisation on jazz fusion, swing and soft rock has redefined the genre and reinvented it for a new generation. Whether purely acoustic or searingly electric, powerfully intense or deeply contemplative, highly composed or totally improvised, there is always that unmistakable Metheny sensibility at work that has stood at the forefront of music for almost four decades. With Chris Potter, Antonio Sanchez, Ben Williams & Giulio Carmassi.